A soldier suffered serious injuries when he was hit by a car during a brawl outside a nightclub early on New Year's Day. 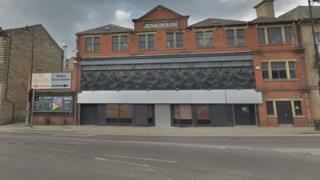 The 21-year-old, who is serving with the British army, was struck by a blue Mercedes car outside the TBC club on Bradford Road, Batley, West Yorkshire. Police said there was an altercation inside the venue that spilled outside. A West Yorkshire Police spokesman said: "The victim is in a serious but stable and conscious state, talking to family at his bedside and when he is ready the police will be speaking to him. Ch Insp Ben Ryder said: "We would like to reassure service personnel that police have no evidence that the victim has been targeted due to his service in the Army, or that it is motivated by racism. "We remain open minded and would urge anyone who witnessed the incident or has any further information to come forward to assist with our investigation."